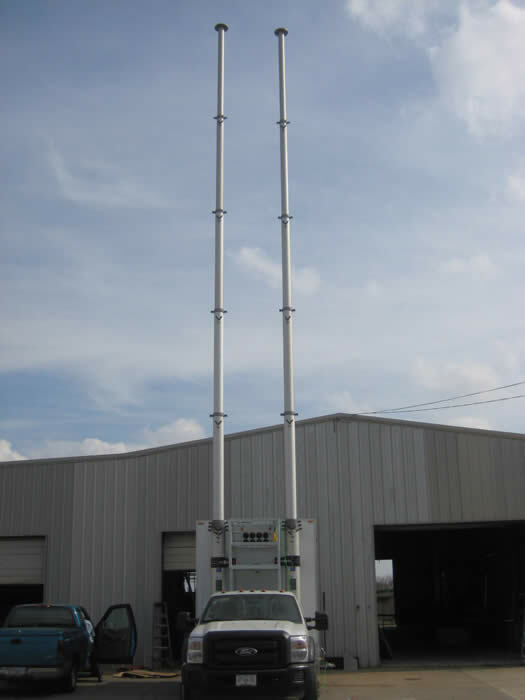 Cell Site on Light Trucks (CSOLT), also called COLTs, for mobile (temporary) indoor BTS applications, typically equipped with an insulated aluminum shelter attached to the truck chassis, (1-2) Will-Burt pneumatic masts (up to 76' in height each), RF antenna mounting kit, MW antenna mounting kit, automatic transfer swith e/w main AC utility connection, AC breaker panel and diesel generator for backup power e/w external fuel tank. 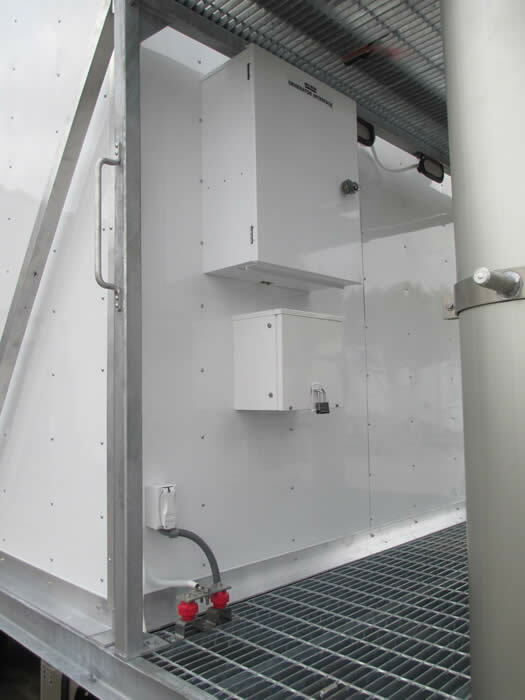 The shelters on our CSOLTs are typically equipped with a single door (on rear curb side), insulation, vinyl interior walls, AC breaker panel, (2) air conditioners (e/w heaters), fluorescent or LED lighting, electrical outlets, internal halo ground ring tied to the master ground bar, thermal alarms, door alarm, waveguide cable entry ports, outside RF ground bar and emergency exterior lights. 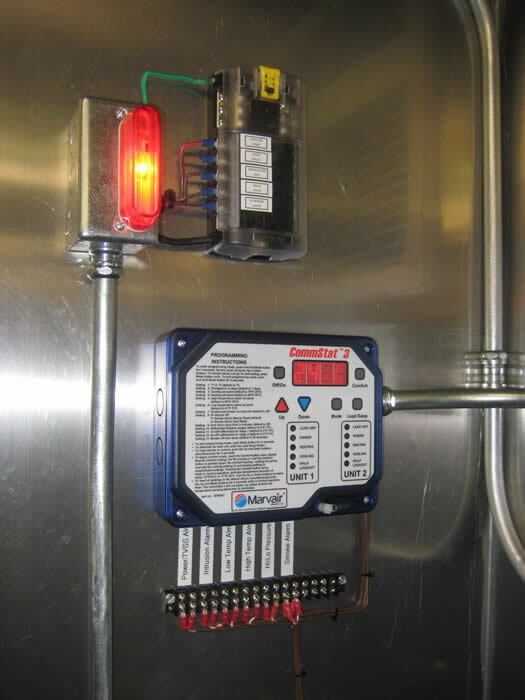 All electrical equipment and wiring are installed per the National Electric Code. NOTE: double rear doors with air conditioners on each, fold-down rails on top of the shelter for radio heads and a separate generator compartment equipped with a door are all optional features. Our smaller CSOLTs use a medium duty truck, such as an Ford F-450 or F-550 or equivalent from another manufacturer. For larger applications, we can provide a CSOLT that is equipped with a heavy duty truck, typically an International, Freightliner or equivalent, either non-CDL if under 26,000 lbs GVWR or requiring a CDL (Commercial Driver's License) if over 26,000 lbs GVWR. NOTE: the walls and ceiling in our all aluminum shelters are insulated in our shelter, the floor is 1/4" aluminum plate equipped with heavy aluminum bracing for supporting heavy equipment and is covered with thick rubber. There is no wood in this product, so it eliminates any concern for wood damage. 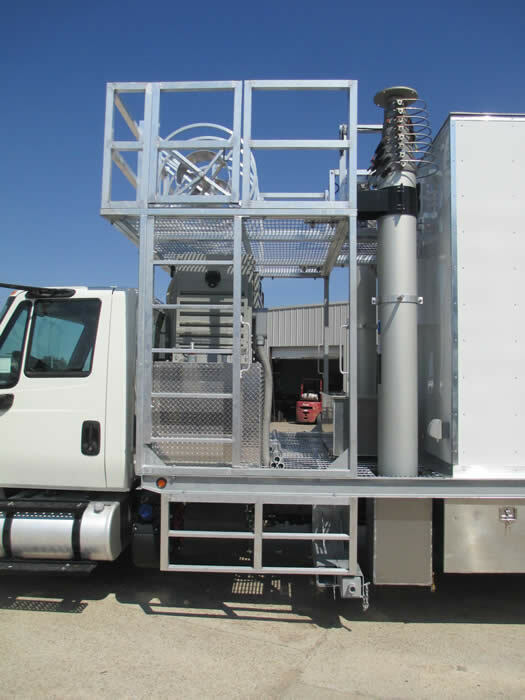 We also manufacture our own all aluminum fuel tanks (single or double walled), all aluminum tool boxes, all aluminum mast wells (for larger trucks), all aluminum safety rails on top of the maintenance platform and all aluminum antenna kits. 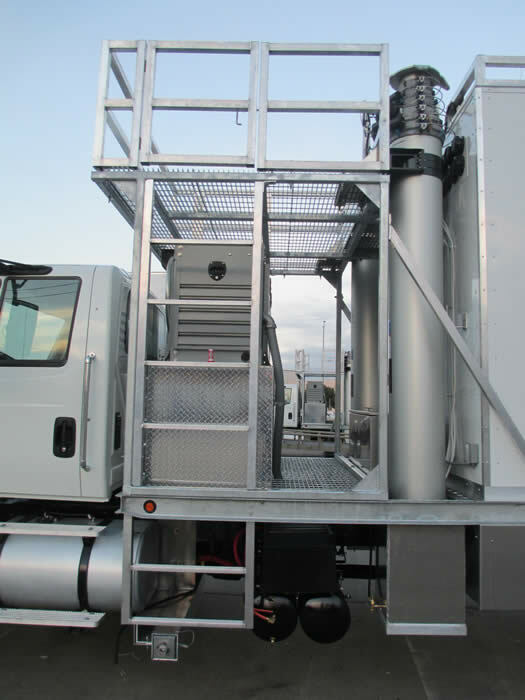 All aluminum outriggers and all aluminum platforms are optional on these trucks to help reduce the total package weight and provide the customer with more payload carrying capacity (typically 3,000 - 4,000 lbs). 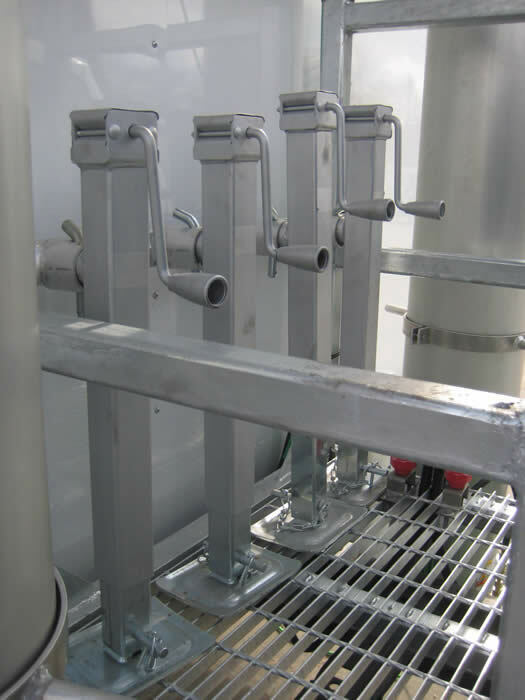 We can custom design and build these CSOLTs in any size requirements for any application. 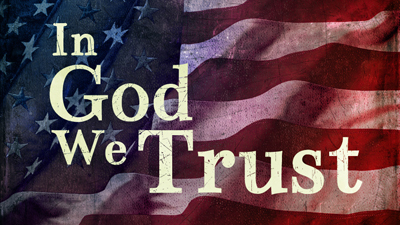 In addition, we will integrate the customer owned equipment into this product, creating a turn key solution. 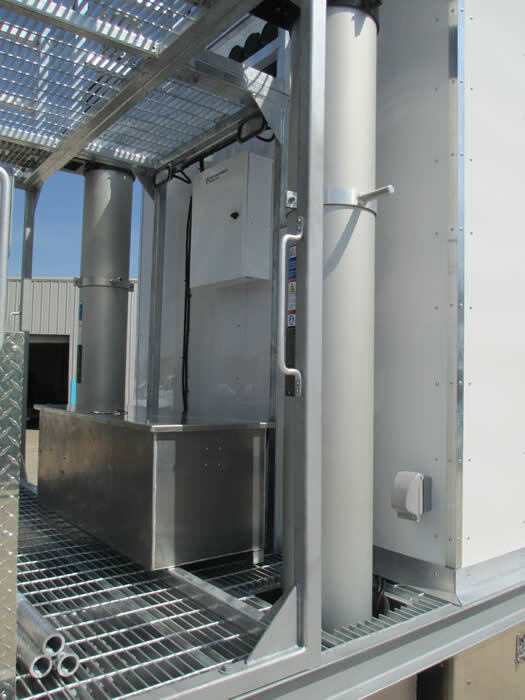 Our standard enclosure warranty is 3 years, our integration warranty is 1 year and all other OEM material, including the truck, is warranted by the original manufacturers. 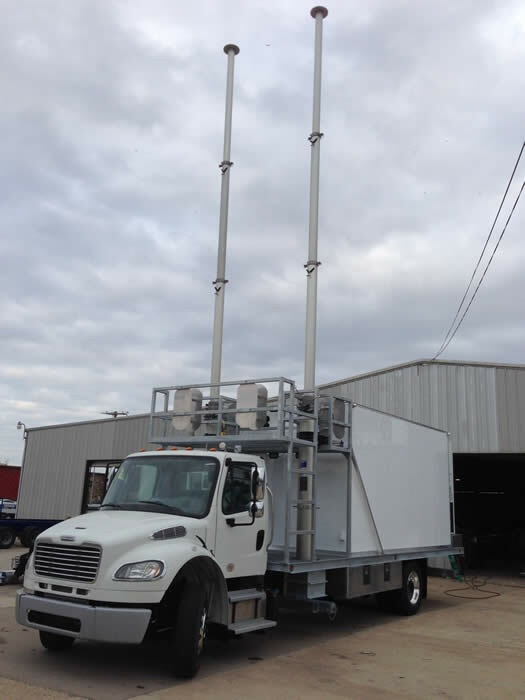 CSOLT below is built on an International 7500 SFA 4x4 (33,000 GVWR, CDL), equipped with (2) 59' ultra masts (1,200 lb payload capacity), front and rear outriggers with stabilizer jacks, 16'L x 8'W x 8'H all aluminum shelter e/w (2) 3-ton air conditioners (with heaters), 200A Cam-Lok panel (outside), ILC e/w 200A ATS and 200A breaker panel, alarm panel, overhead cable ladder, fold-down radio head rails on the roof each side equipped with hand controlled cable winches, master ground bar e/w a halo ground ring, backup camera, receiver hitch, RF ground bar; EPS 45KW / 56KVA generator (225A output) e/w 150 gallon double-walled aluminum tank e/w leak sensor and fuel level sensor. 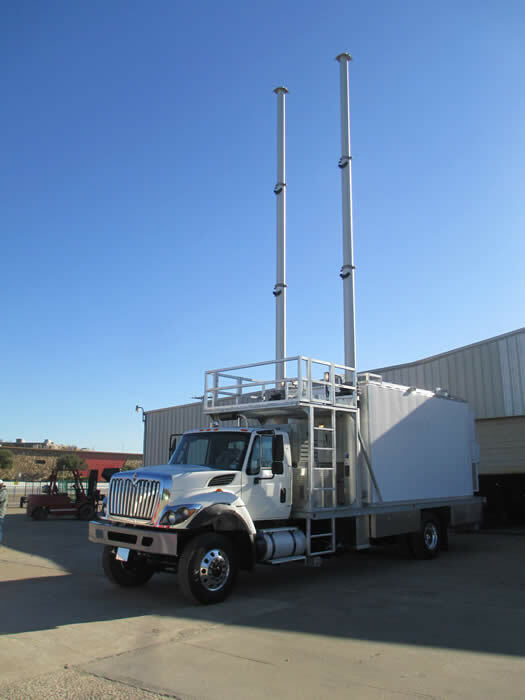 CSOLT below is built on a Freightliner M2-106 4x2 (33,000 GVWR, CDL),	equipped with (2) 60' masts (530 lb payload capacity), front and rear outriggers with stabilizer jacks, cable reels, 16'L x 8'W x 8'H all aluminum shelter e/w (2) 4-ton air conditioners, 400A Cam-Lok panel (outside), 400A ATS and 250A breaker panel for a 250A utility service, alarm panel, overhead cable ladder, master ground bar e/w a halo ground ring, backup camera, receiver hitch, RF ground bar; without an on-board generator, equipped with a 50 gallon auxiliary fuel tank for a standby generator. CSOLT below is built on an International 4300 SBA 4x2 (25,500 GVWR, non-CDL) equipped with (2) 76' masts (400 lb payload capacity), front and rear outriggers with stabilizer jacks, (2) custom rotating cable reels on upper platform, 12'L x 8'W x 8'H all aluminum shelter e/w (2) 3-ton air conditioners, 200A Cam-Lok panel (outside), 200A ATS and 200A breaker panel for a 200A utility service, alarm panel, overhead cable ladder, master ground bar e/w a halo ground ring, backup camera, receiver hitch, RF ground bar; EPS 40KW generator e/w 165 gallon aluminum fuel tank e/w fuel level sensor. 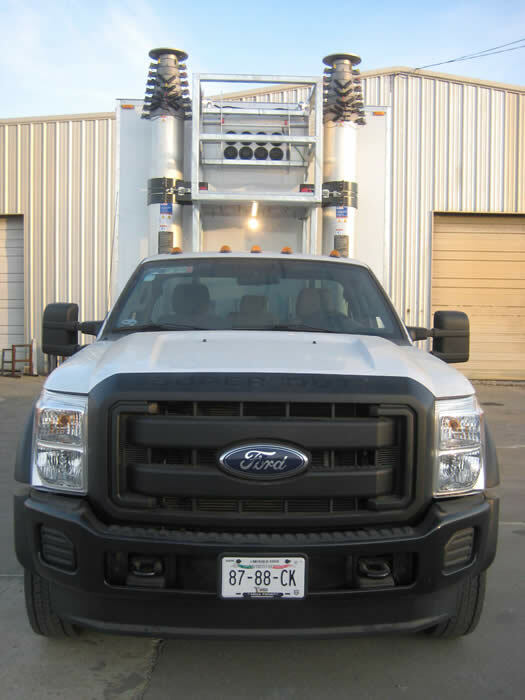 CSOLT below is built onto an F-550 chassis, equipped with (2) 60' Will-Burt super heavy duty masts (530 lb payload capacity), an 8'Lx 8'W x 8'H shelter with (2) 1-ton air conditioners on the upper rear, and an EPS 30 KW, 3 phase, 127/220 V, 60 Hz generator equipped with (2) side mount 40 gallon fuel tanks. This setup includes a high output compressor e/w a hand held remote so that the masts can be operated with it from the maintenance platform. 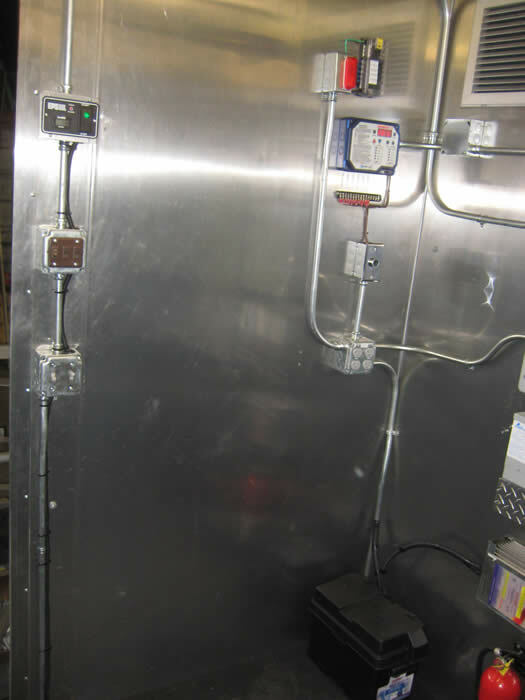 It also includes a utility shore connection with a 50' power cord, an automatic transfer switch, AC powered lights / outlets and both a 127/220V 3 phase breaker panel for the customer, as well as a 115V 3 phase breaker panelto power our equipment we provided and an internal ring ground. In addition, it includes a separate 12VDC system with a charger to start the generator and provide 12VDC lights both inside and outside of the vehicle, as well as a 12VDC outlet. CSOLT below is built onto an F-450 chassis, equipped with (2) 60' Will-Burt super heavy duty masts (530 lb payload capacity), an 8'Lx 8'W x 8'H shelter with (2) 1-ton air conditioners on the upper rear, and an EPS 30 KW, 3 phase, 127/220 V, 60 Hz generator equipped with (2) side mount 40 gallon fuel tanks. This setup includes a hand held remote and solenoid so that the masts can be operated with it from the maintenance platform. 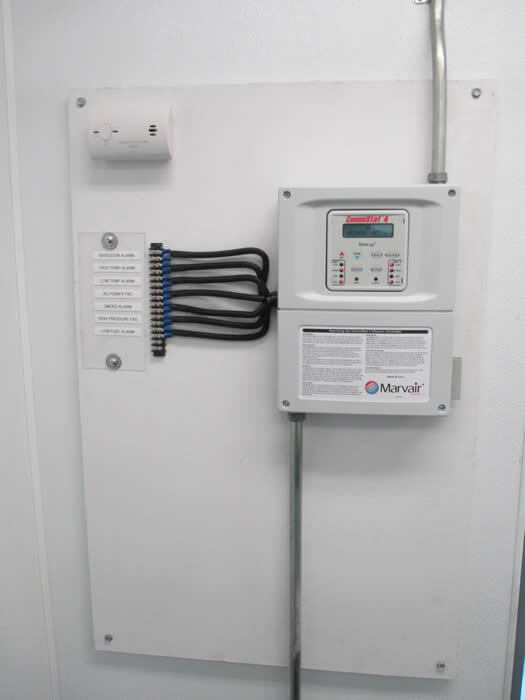 It also includes a utility shore connection with a 50' power cord, an automatic transfer switch, AC powered lights / outlets and both a 127/220V 3 phase breaker panel for the customer, as well as a 115V 3 phase breaker panelto power our equipment we provided and an internal ring ground. In addition, it includes a separate 12VDC system with a charger to start the generator and provide 12VDC lights both inside and outside of the vehicle, as well as a 12VDC outlet. 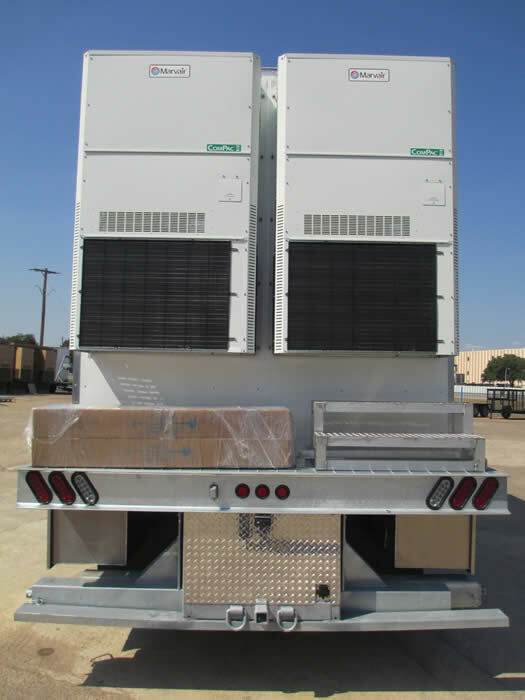 CSOLT below is built on an F-450 equipped with (1) 60' Will-Burt super heavy duty mast (530 lb payload), 12'L x 8'W x 8'H aluminum enclosure equipped with two roof mounted air conditioners (older models used the roof top air conditioners, now we use the smaller rear mounted air conditioners shown in the previous F-450 photos), mast platform, MQ Power 20 KW diesel generator, custom 100 gallon aluminum fuel tank under the generator (inside the removable aluminum tread plate skins) and removable steps (stored inside shelter). 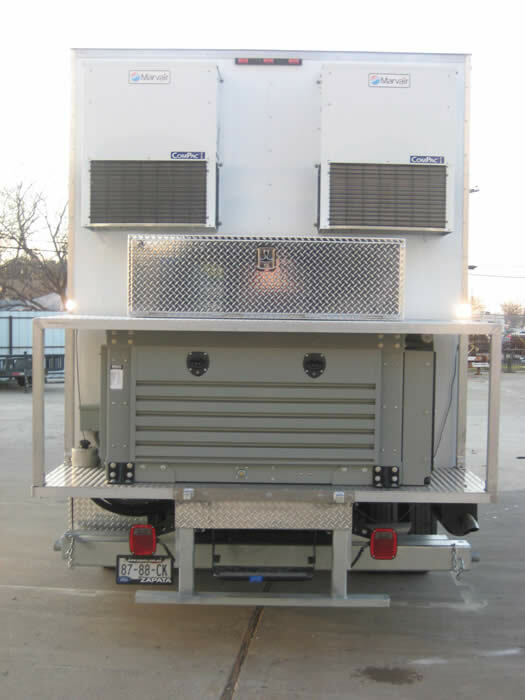 CSOLT below is built on an F-450 equipped with (2) 60' Will-Burt super heavy duty mast (530 lb payload), 12'L x 8'W x 8'H aluminum enclosure equipped with two roof mounted air conditioners, mast platform, MQ Power 20 KW diesel generator, custom 100 gallon aluminum fuel tank under the generator (inside the removable aluminum tread plate skins) and removable steps (stored inside shelter).